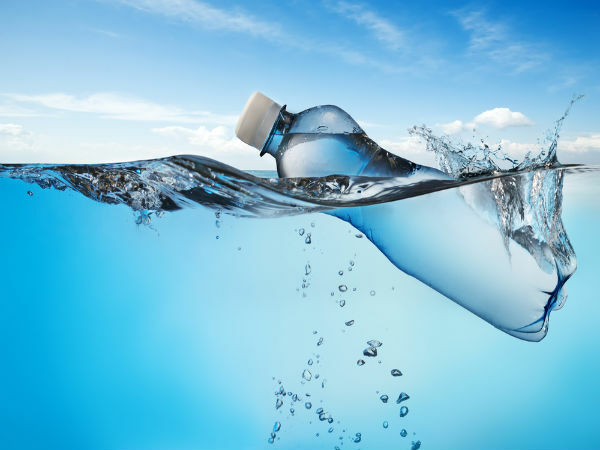 What Is Water Really & Why Is It Better For You Than Sports Drinks? Why Do We Need Water? How Much Water Do We Need? Which Are The Best Sports Drinks? I Don’t Like Water. What Are My Options? Water is more than just H20. H20 by itself is actually a pharmacological drug, and is not found anywhere by itself in the natural world. The water we know, that flow in rivers and comes out of our taps at home, is actually H20 with other substances dissolved into it. For this reason it is known as a universal solvent. It is these other substances that give water its structure. Water assists with carrying everything into our body; nutrients, hormones and neurotransmitters to name a few. It is very powerful and essential to human life. What is more scary, is the detrimental effects that can happen when you don't have enough water. During the course of the day our body loses fluid and electrolytes via urine, sweat, saliva, and other bodily fluids. A normal healthy diet is designed to offset these losses. However vomiting and diarrhoea, heavy sweating, or simply a lack of proper food and drink can lead to inadequate levels of fluid and electrolytes within our bodies. This is coined dehydration. Now this is the million dollar question. Most health professionals like to throw around the 8 glasses a day or 2 litres a day benchmark, however this is based on no sound scientific evidence and given that every persons water requirements are different it makes no sense to give everyone the same recommendation. Energy expenditure. If you are participating in any activity that makes you sweat you will require more water to offset this. Weather/environment. Hot humid weather that makes you sweat requires additional intake of fluid, this is self explanatory. However heated indoor air or very dry air can also cause your skin to lose moisture during winter. Pregnancy and breastfeeding. Women who are pregnant or breast feeding require more fluid to stay hydrated. Most medical practitioners will recommend and extra litre per day for breastfeeding women. Illness. If you are suffering a fever, are vomiting or experiencing diarrhoea you should drink more water. As this loss of fluids and electrolytes if very rapid you may require oral rehydration solutions that contain glucose and electrolytes such as sodium. Fast and effective hydration depends on the active co–transport of glucose and sodium molecules through the small intestine. It is much better to judge your personal water intake needs on your urine rather than sticking to a generalised recommendation of “x” litres. This allows you to better listen to your bodies needs and helps to take into account the above variables. You should aim for odourless and colourless or very pale yellow urine. If your urine looks like a glass of beer or has a foul smell, you are likely not consuming enough. Likewise if you are feeling sluggish or experiencing headaches, these are more often than not ways your body is trying to communicate to you that it needs more water. Firstly, it is VERY rare that someone in the general healthy population could drink too much water. However YES it is possible to drink too much. This is more of a concern in the clinical setting where certain populations have heart disease or renal failure. In this case their normal bodily functions are not working properly and they may retain too much water in their bodies, to the point where sodium (an important mineral) concentrations are diluted and drop too low. This can lead to a condition known as hyponatraemia which is damaging to the brain and in extreme cases can lead to seizures and death. BUT even in this group, hyponatraemia is still unusual. Sports drinks are very well marketed as the best option for hydration for those participating in physical activity. Manufacturing companies reason that these drinks are the better option because they taste good and contain sodium and carbohydrates/glucose. The theory is that sodium in sports drinks make you feel thirstier, encouraging you to consume a higher volume of liquid compared with drinking water. Furthermore, it is believed that the carbohydrates/glucose in these drinks allows athletes to retain more water via increased absorption in the small intestine. There has been many studies done of athletic performance and consumptions of sports drinks vs water. The efficacy of these studies is questionable given that most are funded by the manufacturing companies themselves. A British Medical Journal review screened 1,035 web pages on sports drinks and identified 431 claims they enhanced athletic performance. Only three of these sites referred to studies that were judged to be high quality. And of these three, none were systematic reviews which are considered to be one of the strongest forms of evidence. What is more scary is the other stuff, namely sugar, that manufacturers add to these drinks to make them palatable and competitive on a highly saturated market. For example; a single bottle of gatorade contains 36grams of sugar. To put this into perspective for you a can of coke contains 40grams of sugar and the recommended MAXIMUM daily intake of sugar for an adult female is 25grams of sugar. Whilst there is no hard evidence to confirm or refute the claimed benefits of sports drinks, we can be certain that with such high amounts of sugar and calories per serving they are definitely not doing anybody any favours. And at the end of the day, are likely making a population of people, who are trying to be active for weight loss or performance reasons, fatter and slower. So if you have got to this point in the article, you have now read about how water is life, how water is essential for all functions in your body, how appropriate hydration ensures optimum performance and vitality. You have also learnt that a lack of water intake can lead to lethargy, weight gain, headaches and at the extreme end of the spectrum, death. It is very important! However we hear in the clinic time and time again, “I just don’t like the taste of water”. Well, here are a few tips to pimp your water. Even if you do like the taste of water these tips may help enhance the health benefits and efficacy of hydration. Salt. High quality natural rock salt contains more than 60 trace minerals and can be added to your tap water to optimise its pH and your uptake of these minerals. Lemon. Lemon has a natural affinity for water and has what is called an anionic orbit. This means atoms are spinning in the reverse way that most other food items do. These atoms are actually spinning in a way that your parts of your digestive tract do,and the same with your saliva. For this reason it’s hypothesised to be very good at cleaning your insides and assisting with digestion. Berries, fruit and/or veggies. Berries specifically are enzymatically active and full of antioxidants that can boost your water. The main reason for adding these items though is for colour, smell ad flavour. They heighten the sensory experience of drinking water and make it more appealing to those not inclined to pick up a plain old litre of water. Some of our favorite combos include basil and cucumber, orange and mint or lime and blueberries.